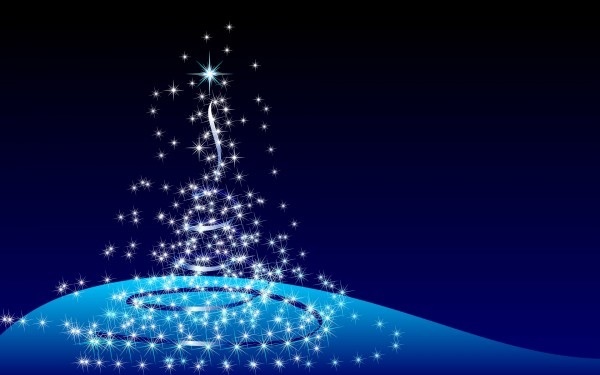 The best part of the Christmas season for me are those unexpected gifts of goodness, insight, connection, and light that sometimes come our way. They are gifts of magic. And they are all around us, when we are open to receiving them. Here are two from my world that may lift you up. The first story is about Sister Lorraine Malo, a beautiful woman I have known for many years who died in June at the age of 76. She was born in 1936, and entered religious life in 1955 at the age 19. She was a woman of unshakeable faith, who lived through unspeakable horrors, and yet spent her life serving others–always smiling, always hopeful. 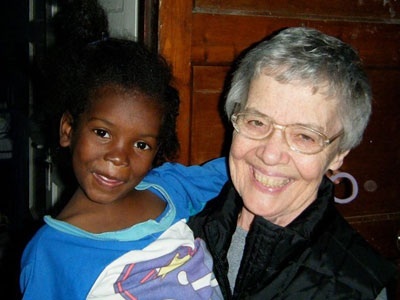 For most of the last 10 years, she helped orphaned and very sick children in Haiti–befriending them, teaching them, consoling them, and playing with them. I just found out recently that she had died, and it made me very sad. On my way out of Toronto last week, I stopped in at the Sisters of St Joseph to make a donation towards the work she started in Haiti. I also hoped to speak to a sister who knew Sister Lorraine, and was with her at the end. And as luck would have it, I ended up having a very emotional chat with Sister Pat Boucher who shared with me some of the final days, moments, and memories with her. We both cried. Towards the end I noted that Sister Lorraine died just a few days shy of her 77th birthday. Sister Pat had asked her what she wanted to do for her birthday about two weeks prior to that. If anyone deserves to be there, it is surely Sister Lorraine. And I have absolutely no doubt that she is there now, watching over all the souls she touched. The second story happened just this past week. I stopped by to say hi to the Wongs, my next door neighbours for 15 years. I usually pop in once a year since since I moved away in 2008. Mr. and Mrs. Wong don’t speak English very well, but somehow we manage to communicate, at least superficially. Mrs. Wong and I had never shared more than a brief hug, but on this day, it was very different. Mrs. Wong asked me for my address. I tried to explain that I don’t really have an official home address right now, following the profoundly painful experience earlier this year of separating from my wife. She locked onto my eyes and started crying. Then she held my hand, grabbed my arm, and tried to explain to me that her son was going through a similar experience, and how worried she was about him and her five-year-old granddaughter. I shared with her some thoughts on how I am somehow getting through this, and how important her family’s support and the support of her son’s friends would be over the coming months. She told me to be strong and to never doubt my goodness. And for the next 20 minutes or so she held onto me tightly and did not let go. She never stopped looking in my eyes. It was an extended moment of very close, intense physical and emotional connection that I have very rarely felt in my life, in particular from a relative stranger. We locked onto each other, and somehow in those moments, we gave each other the gift of comfort.